I’ve been slowly getting back into doing personal work, but I’m not forcing myself before I’m ready. I spend 8 hours a day at work making art, so it’s been difficult to summon the energy to work on my own projects on top of that. People process grief differently, and I respect people who use their art as a creative outlet when they are struggling, but I find I can’t work when I’m not doing well. When I force myself, I often don’t like the results! When I have good days, I work, and when I don’t, I rest and try not to feel guilty. I’ve got a few works in progress right now that I set aside after my mother in law passed away, and I’m trying to finish those without stressing about it if I don’t feel like it. 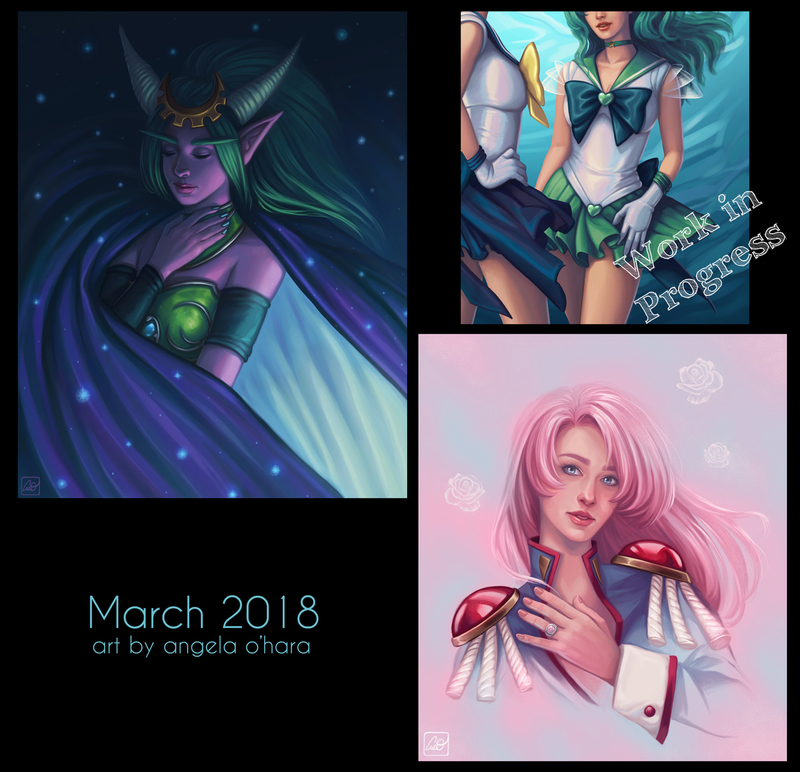 I was inspired to paint Ysera and Utena this month, so I did! The Sailor Neptune and Uranus WIP I actually started in January, and I would love to finish it and move on at this point!